The latest release on Luis Bondio’s Classound Recordings welcomes Paolo Mojo to the label for his debut single. The UK based producer and OOsh Music label boss is coming off a relatively quiet 2015. Perhaps best known for his releases on Pryda and Bedrock, Paolo’s borderless approach to production was showcased wonderfully on ‘The Vault’. Released in September of last year on Manuel De La Mare and Alex Kenji’s 303Lovers imprint, the expansive 5 track EP featured everything from Deep House to Techno, all of which had a great nose for the dance floor. Now as 2016 begins Paolo presents his debut for Classound entitled ‘Hollenthal’ alongside a remix from Luis Bondio. 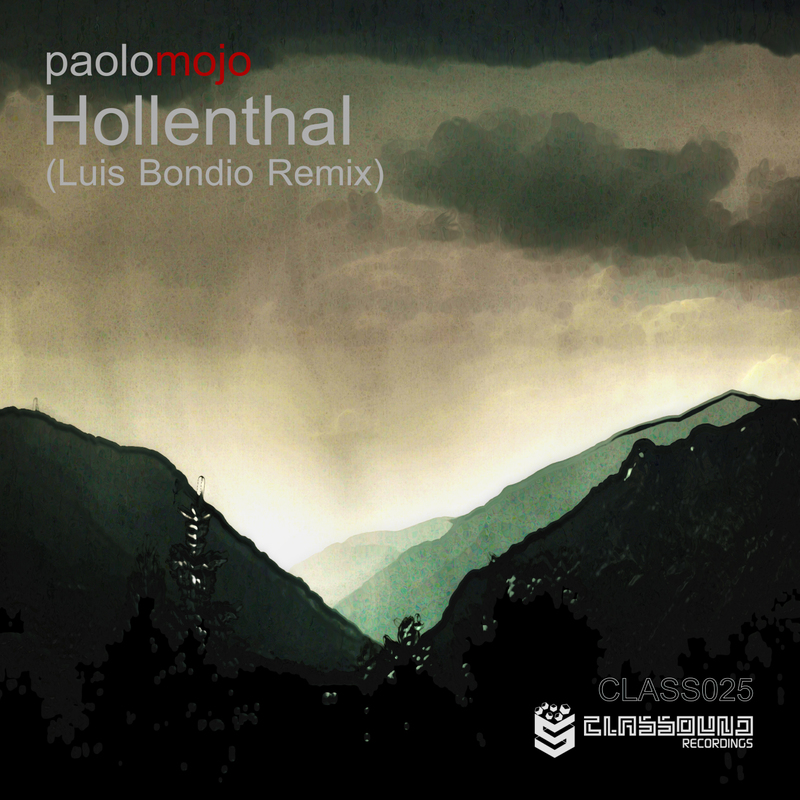 ‘Hollenthal’ finds Paolo returning to his more melodic and contemporary progressive sound. As the piece begins it’s the production quality that strikes you immediately, but what follows is a musical storyboard which really hits home. Anchored by a chugging, electric sounding groove it’s pretty clear Paolo’s keen nose for the dance floor is still one of the best out there. It’s cadence is loaded with bounce and vibrancy, which sets up a series of amazing motifs, following in succession and delivering that emotional blow during the main break. It’s a touch epic, super emotive and in the classiest way imaginable. The lone interpretation on the release see Luis Bondio returning for his 12th appearance. The Classound boss got the year off to a great start with a remix of Dmitry Molosh’s ‘Blizzard’ which rose high into Beatport’s Progressive House charts. For his ‘Hollenthal’ interpretation Luis has gone dark and brooding with great results. It would have been near impossible to improve on the original following a similar narrative and Luis has taken the track in a completely different direction, with a more mystical undertone. The Argentine has crafted a groove with punch and drive but what’s most striking are the rugged stabs and grating rhythms. It’s a wonderful contrast to Paolo’s lush textures which Luis has incorporated beautifully. The main break keeps the vibe quirky and esoteric rather going for melodic gusto, it makes for a great mood as the third act begins where Luis elevates the vibe a notch or two with some great modulation on the lead. A killer remix from Luis to round out one of Classound’s best releases to date. Certainly a great start to the year for the long standing Argentinean imprint. Highly Recommended.